Slack is an effective tool for communication and collaboration, however, there is a question on using Slack in the healthcare industry and whether or not Slack is HIPAA compliant. Can healthcare organizations use Slack for sharing protected health information (PHI) without violating the HIPAA? Since its introduction, Slack is not considered HIPAA compliant, even though steps have been undertaken to create a version of Slack that may be utilized by HIPAA covered entities. That version is known as Slack Enterprise Grid. Slack Enterprise Grid was introduced at the beginning of 2017. Slack Enterprise Grid isn’t exactly like Slack. It was built using different code, and was created particularly for the use of organizations having over 500 personnel. Slack points out on its website that Slack Enterprise Grid customers in controlled industries could use their DLP and eDiscovery support to be HIPAA and FINRA compliant. So, what does the foregoing discussion suggest? Slack is not HIPAA compliant. Slack Enterprise Grid could be HIPAA compliant. 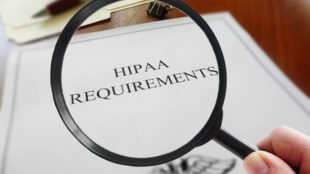 But, before healthcare organizations can use Slack Enterprise Grid for any activities connected with PHI, there must be a HIPAA business associate agreement (BAA). Before a company can use any platform for sending or receiving protected health information (PHI), the platform must be willing to enter into a BAA. Slack details on its website that customers should not use, disclose, transmit or process any PHI using the platform. Unless a customer enters into a written agreement with Slack, Slack is not a “business associate.” This implies that Slack is ready to sign a BAA for clients wanting to use Slack Enterprise Grid.